They skipped us on their last few pre-breakup tours -- and then again on first reunion go-around last year -- but Seattle grunge-metal heroes Soundgarden have finally confirmed a Twin Cities date as they prepare to drop their first album in 16 years on Tuesday. The long-awaited show is booked for Feb. 2 at the Orpheum Theatre, a clear “underplay” in concert-biz terms. Tickets are $59.50 and go on sale Nov. 17 at noon through the State Theatre box office and Ticketmaster. Fan-club pre-sale starts Monday. This will be the band’s first Twin Cities area performance since 1994, when it played Roy Wilkins Auditorium. 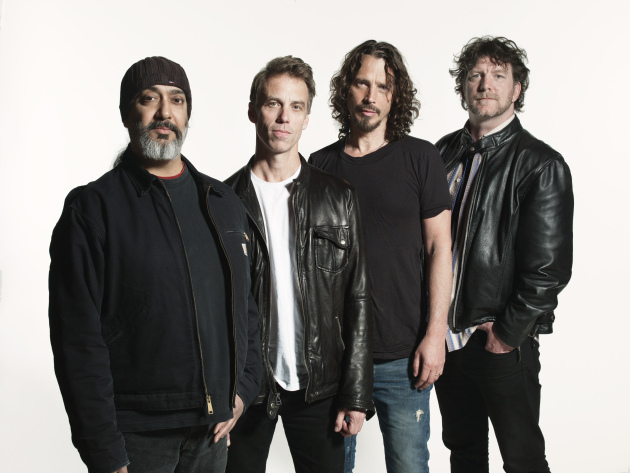 Soundgarden’s new record, “King Animal,” is now streaming for free via iTunes and doesn’t disappoint. Certainly not like singer Chris Cornell’s solo albums all proved to be letdowns, anyway. You can pretty well call it a return-to-form, with some of the new songs recalling their rawer, stormier early albums (think: “Loud Love”) and others harking back to their more anthemic commercial heyday (think: “Black Hole Sun”). Here's the video for the aptly named opening track, "Been Away Too Long."